NEW ORLEANS (AP) — One used to deal drugs on the streets of New Orleans. Another grew up in Chicago with two drug-addicted parents. 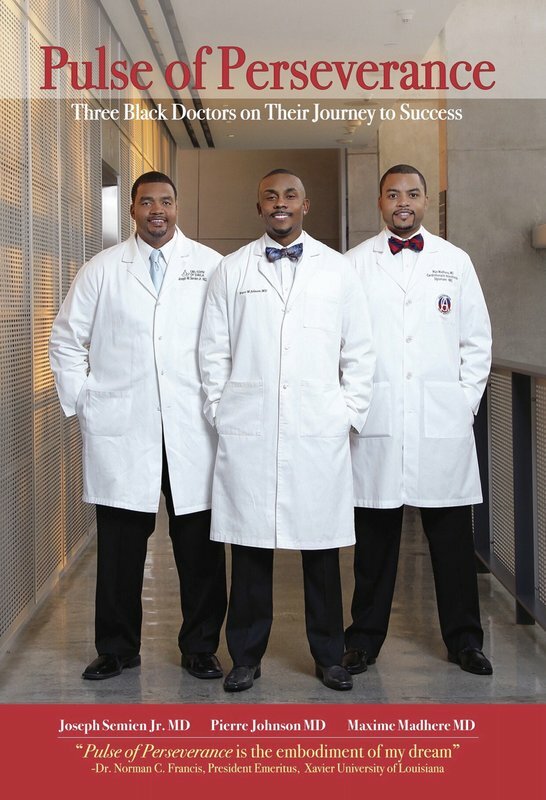 A third survived the tough streets of New York and Washington, D.C., where he once stared down the barrel of a gun.All three young Black men became board-certified doctors. In an interview with The Associated Press, Pierre Johnson, Maxime Madhere and Joe Semien Jr. said they knew the odds were stacked against them when they entered Xavier University of Louisiana in 1998 with hopes of becoming doctors. Black men make up a small percentage of doctors in America, and they knew getting through college and medical school wouldn’t be easy. Their early lives, college struggles, and victories are chronicled in “Pulse of Perseverance: Three Black Doctors on Their Journey to Success.” They said they wrote the book to show African-American boys that athletes and entertainers aren’t the only examples of Black achievement and success. Madhere, an anesthesiologist in Baton Rouge, said they’re fortunate and have a responsibility to share their experiences with the next generation. “Young boys need to know it’s not a game in these streets. They need to know that we are completely marginalized as people of color when we mess up. They also need to know you don’t have to rap or shoot a ball to get out of their circumstances,” said Madhere. Semien, Johnson and Madhere each set a goal early on to become a doctor. Semien, an obstetrician/gynecologist from New Orleans who practices in Lake Charles, describes in the book how he became intrigued by a sixth-grade anatomy class. Madhere discovered his love for medicine after volunteering at a hospital. Johnson said he “just knew” he wanted to heal people after dealing with his parents. Getting there, however, wasn’t easy. Four percent of doctors in the U.S. are African American, according to the Association of American Medical Colleges. The men chose Xavier, knowing that the nation’s only historically Black Catholic institution consistently places Black students in medical school. Johnson, an obstetrician/gynecologist working in Chicago, writes about Xavier’s nurturing environment, which helped spark the trio’s friendship. “We started a conversation about how things were going and the struggles we were going through in class and ultimately decided we needed to band together … and we saw that same energy in Joe,” Johnson said. “This was my first encounter with death. The image of this man dead on the pavement, with the police and paramedics swarming around him, was immediately burned into my 7-year-old mind. It remains there to this day,” he wrote. The three doctors decided to tell their stories in one project because they’d already proven they could work together. Johnson said he plans to push his friends to write a follow-up. “If this book does what we hope and plan, to inspire kids everywhere and to push people to achieve success through all circumstances, definitely a second book is in the making,” he said.